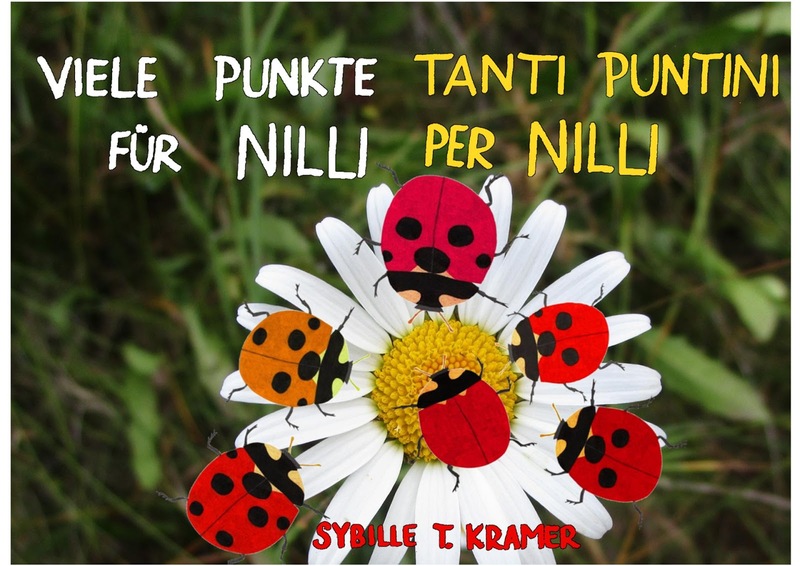 THE 2018-2019 HOME-SCHOOL CALENDAR by Sybille T. Kramer and Voglio Una Mela Blu covers the period September 2018 - August 2019, and is designed to accompany the school year months with cues and drawings. Therefore it is perfect for families with children, teachers and schools: for everyone who “starts a new year” in September! 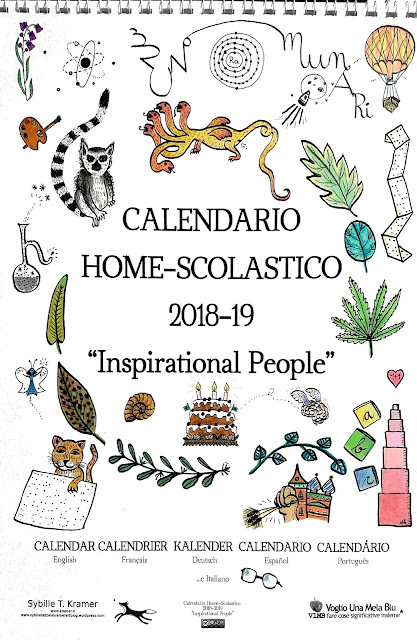 This year, the topic of the HOME-SCHOOL CALENDAR is “INSPIRING CHARACTERS”: we chose one character per month, even if the choice was very difficult! and what they did for mankind (in a tangible way or as role models), or simply to enrich the most boring days !! This year the HOME-SCHOOL CALENDAR is in the black and white version! Therefore you will only need to download it from our blogs, bring the file to the printing services shop for printing and then colour it, having fun with imagination or getting ideas from some historic portraits. All illustrations by Sybille Tezzele Kramer. 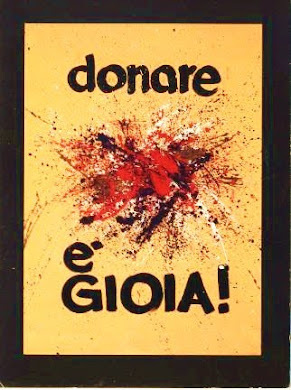 Graphics and font research by Vogliounamelablu. 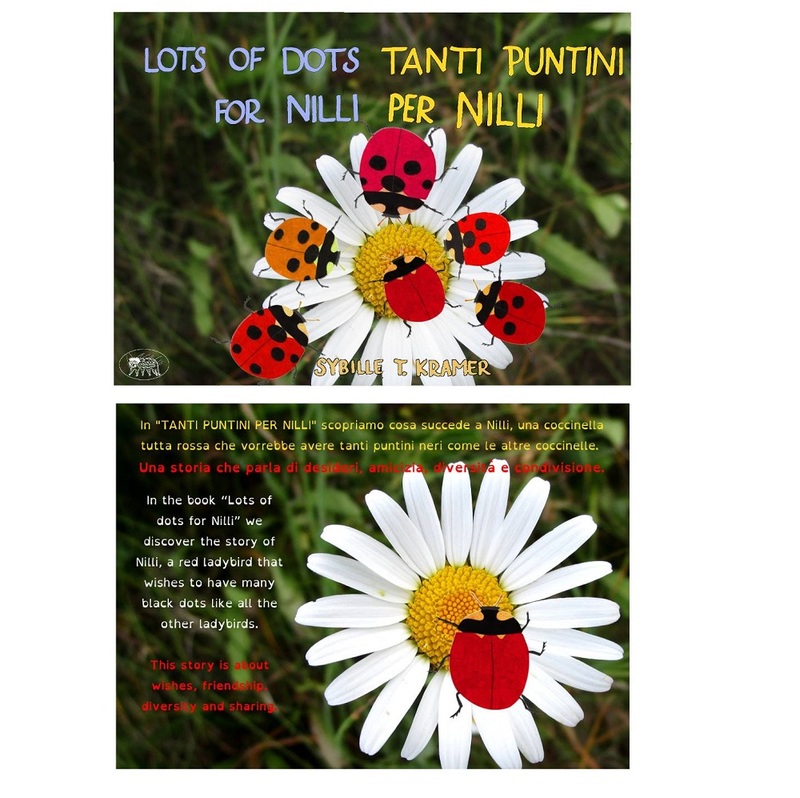 Our wholehearted thanks to Raffaella Benelli who translated the last page (this text you are reading) for us into English, making the calendar even more international!!! Ada Lovelace; English; Commercial Script by ? The HOME-SCHOOL CALENDAR is part of a series of creative projects provided by the two bloggers just for the pleasure of sharing beauty and learning together. The quotes were chosen according to the interest of the authors and to the reliability of the sources available online. During the year, month by month, you will find in the blogs cues and insights that will allow you to learn more about the characters. The font used for the real calendar is the very elegant Ahellya by Dmitry Barsukov. Whereas for this information page we are using for the first time the precious Highy Readable Font biancoenero® by biancoenero edizioni srl, designed by Riccardo Lorusso and Umberto Mischi. (Non-Commercial use - Please share as non-commercial).